When was the last time that you visited a new eating point which opened recently in your city? Maybe two years back or even more than that. Agree? The technology evolution has so widely influenced our lives that don't even have enough time to try out new things. More and more food outlets are opening every day and we go for the one which offers quality food with good infra and of course, the 'DEALS & DISCOUNTS'. So, the competition is becoming even stiffer in the food industry, and it becomes necessary for your restaurant to offer something unique or cheap in order to grab the customer's attention. One of the simplest ways to get it done is implementing a POS system in your restaurant. It will not only attract customers but even saves time, money and efforts of your restaurant staff. Still not convinced? 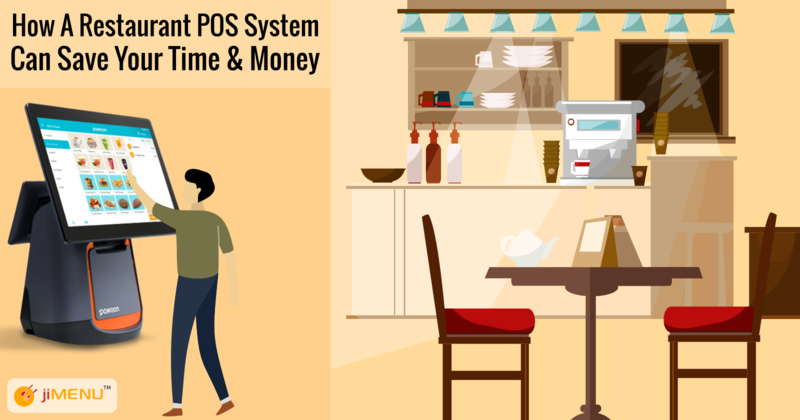 Keep reading this post to know how a restaurant POS system will save you time and money. Tablet Ordering: Paper menus are now getting replaced with the tablet menus where customers can get a quick view of the menu items and make an order quickly. The menu items are properly arranged where customers can easily find their favorite dishes and place instant orders. Split Billing: Whenever people visit in a group, they want to split their bill and pay individually. POS system lets you split the bills and make the payment process easier on the customer's end. Kitchen display system: Having a kitchen display system in your restaurant simply makes food preparation and serving process simpler on the staff end. The orders and status are displayed directly in the kitchen areas where the staff stays out of the mis-understandings and prepare the right orders. Table Reservations: During the rush hours, it becomes difficult for the staff to manage and check the availability of tables. And of course, you can't simply ask the guests to wait till the time tables get vacant. A POS system comes equipped with the table reservation feature where customers can book a suitable table for them and enjoy their meals. Inventory management: The inventory system in restaurants basically allows your staff members to control and manage the stock of the restaurant accurately, and further helps in boosting up the overall profit at your restaurant. This lets you stay away from the irrelevant wastage of stock and keeps you updated on the food items which are running out of stock. Menu Labeling: Menu labeling is a new trend in which restaurants are adopting in order to deliver more nutritional facts to the customers about the food they are consuming. How much fats, vitamins, is the food containing, this all information lets you build customer trust as well. Read in detail how menu labeling benefits restaurants. Menu forecasting: Forecasting your food items is a very essential step in order to balance the costs and expenses at the restaurant. Menu forecasting lets you get an estimate about the amount of stock required for a particular time period and order stock in the future accordingly. As technology widens its reach, there will be new trends in the food business. So, it is quite necessary for the restaurant owners to stay updated and aware of the latest technology trends practiced in the restaurant industry. Have any questions for us? Connect with our team and get your queries clarified from our experts. Our team would be glad to hear from you.